so excited that many of you enjoyed thursday's airing of Mr. 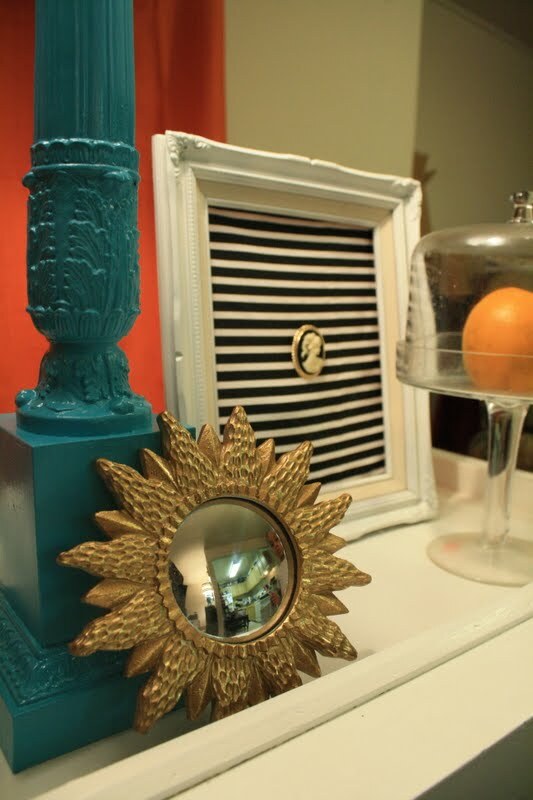 Goodwill Hunting on the nate berkus show. if you missed the actual airing you can click here to watch the video. 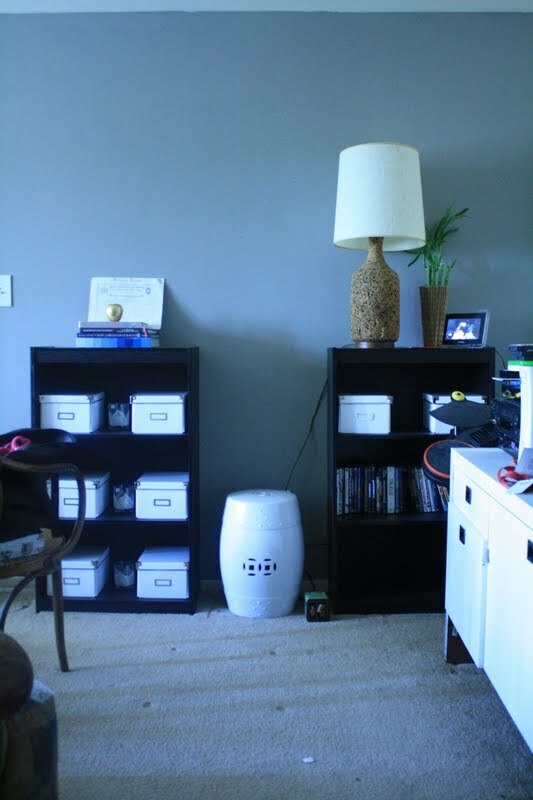 now this space isnt a full design process, but it is more of a facelift...an update. lets start with some before pictures shall we? my clients were a young hip family of 3, so anything stuffy and overly pretentious was not in the plans, but a sense of eclecticism was. because the lady of the house was 8 months pregnant (i know), i wanted to make sure the the added furnishings were appropriate for the new baby and for the 8 year old. my clients were also renters. so some updates were not possible, such as painting walls, knocking down walls, adding hard wired light fixtures or even changing the flooring. so i essentially did a soft deign. 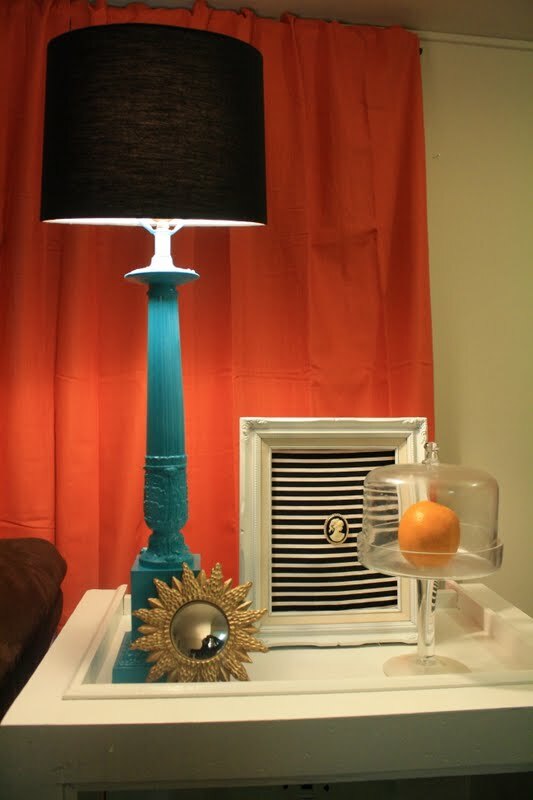 a soft design is one that primarily deals in textiles, refinishing and painting. the wall color was already present when i arrived. before i came into dc, i had several conversations with my clients about how the room was currently being used. the husband travels with his football team and the wife is an aspiring model all while both works in downtown dc. so with all of this goings on lets throw their family in the mix too. so i knew seating was major. the two chairs above were purchased at $9 each. 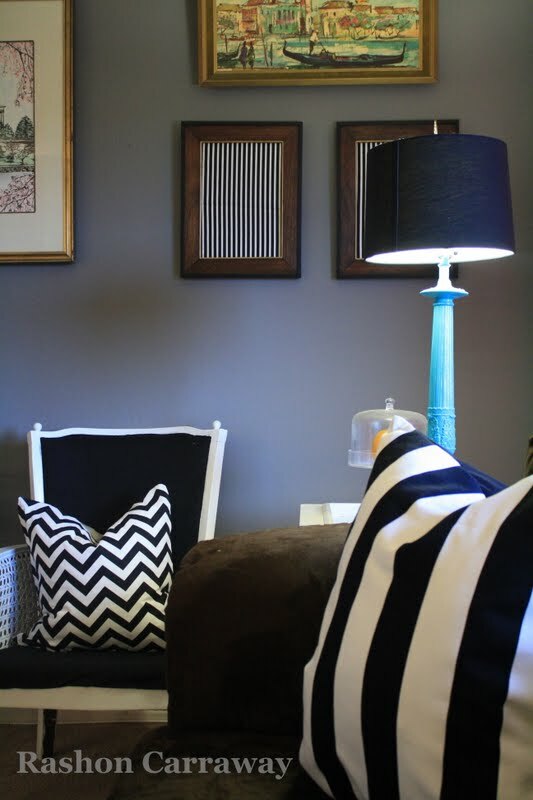 a simple update with fabric that the lady of the house had on hand and paint quickly made these inexpensive finds into something worthy of showing off. my toughest sell, but one that proved to be most beneficial, were the side tables. i wanted to turn them on their sides so that i could utilize the top opening as storage. my clients had these trendy garden stools, so i simply placed them in the opening so they are easily accessible when extra seating is needed for guest. seating + storage = uh-mazing. one of the most important things i do when i arrive to a client's home, is take inventory of items they currently have, but are not in use. these lamps were already owned by the jones's, but mrs. jones did not like them, however, i encouraged her to keep them until i arrive. i knew could find use for them. 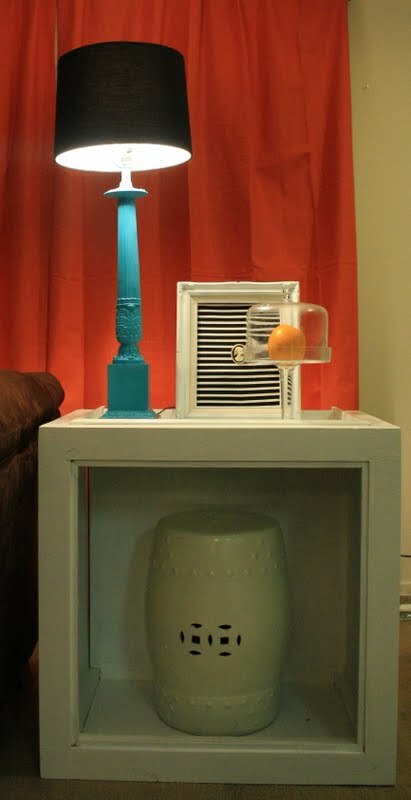 as you can see i WAS able to use these lamps to add just the right pop of color to the family space. as we were thrifting, we came across a wonderful painting of the jefferson memorial for only $35. this piece was a must have for them. after bringing it home, the mr. jones began sharing with me how he and his wife would often have date nights at the jefferson memorial. SCORE! the wife had this box of frames she had been collecting for projects. so we pulled them out and created a gallery wall around the new prized possession. 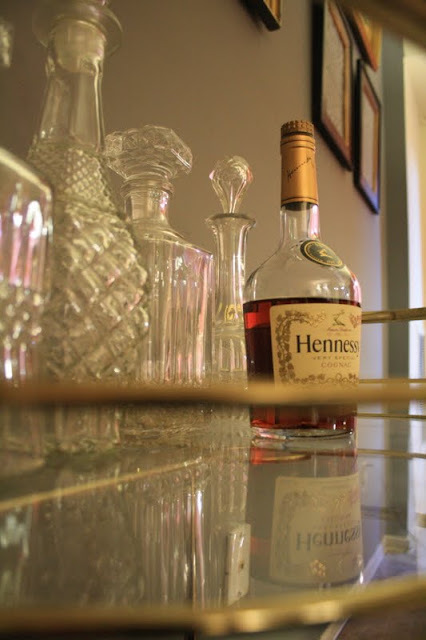 last week i gave you a sneak peek of a bar cart for a client. well that bar cart was found for this client. she said she had been looking for one for quite some time, so it was great to be able to find one while i was in town for this makeover. bar carts are becoming quite a trend and if you can score one an a very inexpensive price i would certainly pick one up. 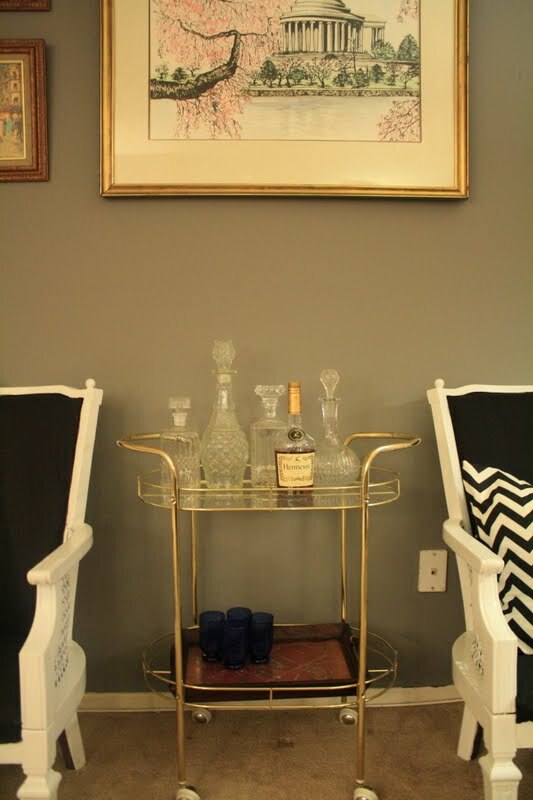 click here for a recent bar cart find. this spot in their space is probably the most sentimental. when i arrived their wedding photo was in the corner. 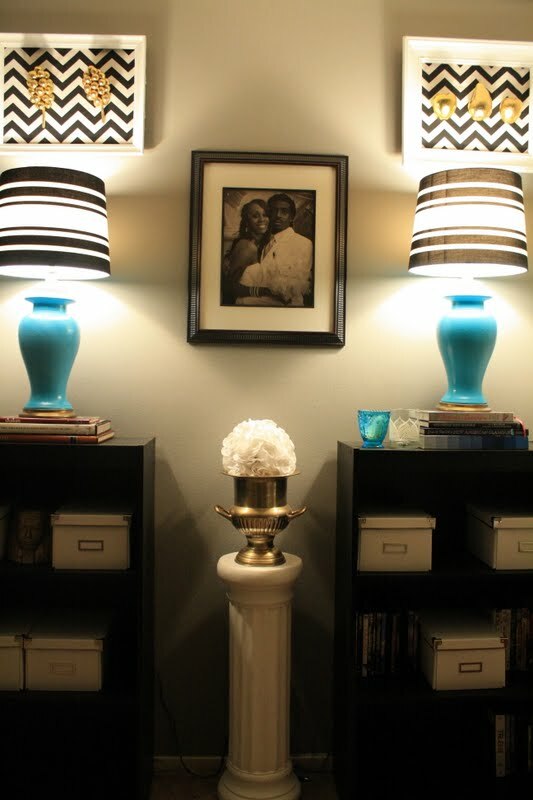 this area made the perfect spot for display such a beautiful keepsake. originally there were three bookshelves and a lot of other items. i simply requested one bookshelf be removed, took some leftover frames and fabric, placed some of her golden $1 fruition it to make instant artwork. P.S. dont forget THIS TUESDAY MAY 17th, I will be tackling another living room makeover on the Nate Berkus Show. SET THOSE DVRs!